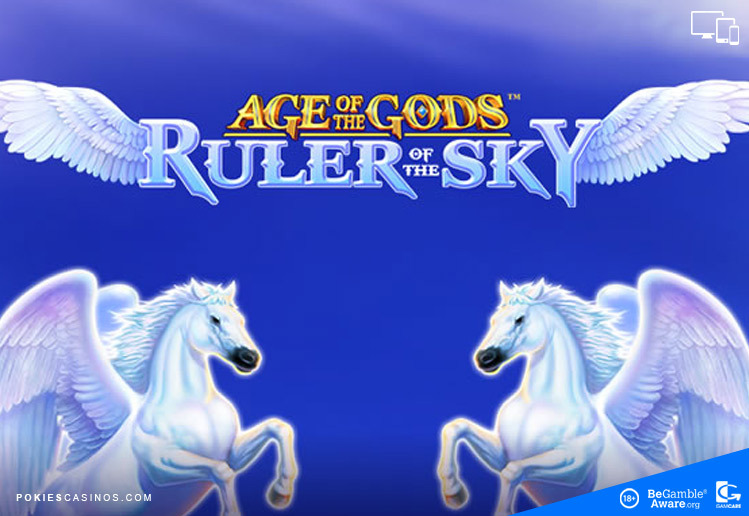 Age of the Gods – Ruler of the Sky is powered by the reputable software gaming company, Playtech and offers 40 paylines with 5 Reels. Ruler of the Sky is part of the Age of the Gods series from Playtech, inspired by the Ancient Greek legends. This pokie is based on the mythical Pegasus, a magical white stallion with wings and child of the Olympian God Poseidon. Pegasus is one of the most recognized creatures in Greek mythology. The pokie has a beautiful design with snow-capped mountains in the background, blue skies and white clouds floating past. The amazing artwork includes ornately-drawn playing cards, harps, vases, temples and Athenian helmets. This game features stacked Pegasus Wilds on all reels, and the Mighty Pegasus Free Games feature with no limit to the amount of spins that can be won. Coin values range from 0.01 up to 50.00. Betting starts from a minimum of 0.01, but high-rollers can choose to go a lot higher, betting from 50.00 per line, or 2,000 overall! The Game Logo is the Scatter symbol which only appears on Reels 2, 3 and 4. Landing 3 or more Scatters on the same spin will trigger the Free Spins round. Receive a payout of 3x the bet and 5 free spins. Land an additional 3 Scatters to re-trigger another round of free spins, there’s no limit. The Mighty Pegasus Free Games – Receive 5 free spins to start with, plus unlimited re-triggers and stacked Pegasus wilds to create more wins. The Wild Pegasus is also lucrative rewarding 25x the bet when landing 5 on a payline. Land 3 Logo scatter symbols simultaneously on the 3 middle reels to receive 5 free spins. Additional and unlimited free spins will be awarded when landing another 3 Scatters on the 3 middle reels. The Pegasus is the Wild symbol which appears stacked on all reels. Pegasus will substitute for all symbols besides the scatter. The Pegasus Wild is also the most rewarding symbol by awarding up to 25x the total bet for 3, 4 or 5 of a kind on a payline. Fill the reels with Pegasus Wilds to receive 1 000x the bet. As part of the Age of the Gods series, there are 4 Progressive Jackpots to be won, namely: Power, Extra Power, Super Power and Ultimate Power. Any spin can randomly open the Jackpot Game. Once triggered, a new screen opens displaying a 5×4 grid of coins. Pick from the 20 coins until 3 matching coins appear. 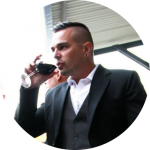 The coins will reveal the jackpot prize, the most rewarding being the Ultimate Power. The Auto Play function spins the reels automatically from 10, 25, 50 or 99 spins or choose to play until the bonus feature is activated. Where to play Age of the Gods – Ruler of the Sky Pokie Game. You can play Age of the Gods – Ruler of the Sky pokie game at our recommended Playtech Internet casinos below.